The United Network Command for Law and Enforcement has a new agent in its struggle with THRUSH: The Girl from U.N.C.L.E. 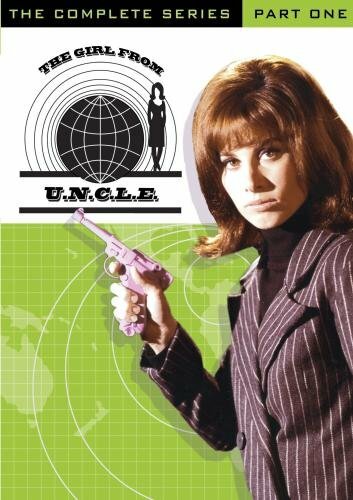 The girl is April Dancer (Stefanie Powers) who, assisted by partner Mark Slate (Noel Harrison) and guided by chief Alexander Waverly (Leo G. Carroll), travels the globe on assignments, using her martial-arts and espionage prowess to combat foes. This spoofy 15-Episode Part One of the spy series in a 4-disc set includes a dossier of top-level guest stars. April Dancer (with Mary Ann Mobley playing the role) was first introduced to fans in the Moonglow Affair episode of The Man from U.N.C.L.E.